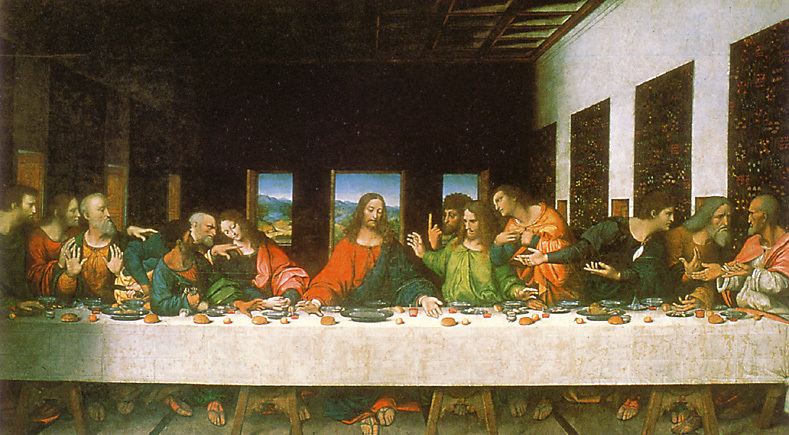 Maundy Thursday, which derives its English name from Mandatum, the first word of the Office of the washing of the feet, is known in the Western liturgies by the heading "In Coena Domini" (upon the Lord's supper). This marks the central rite of the day and the oldest of which we have explicit record. St. Augustine informs us that on that day Mass and Communion followed the evening meal or super, and that on this occasion Communion was not received fasting. The primitive conception of the festival survives to the present time in this respect at least, that the clergy do not offer Mass privately but are directed to Communicate together at the public Mass, like guests at one table. The Liturgy, as commemorating the institution of the Blessed Sacrament, is celebrated in white vestments with some measure of joyous solemnity. The "Gloria in excelsis" is sung, and during it there is a general ringing of bells, after which the bells are silent until the Gloria is heard upon Easter Eve (Holy Saturday).